I loved this punk rock book with heart. I wasn't familiar with the Rufus' band before reading this book but that didn't take anything away from it. 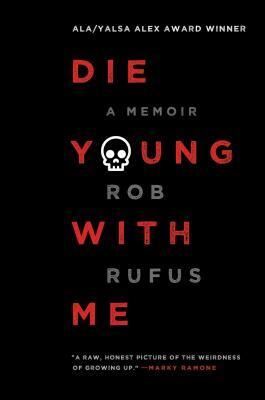 If the other teens with cancer books were too emo for you, I recommend checking out Die Young with Me. It has just the edge you are looking for. Winner of the American Library Association Alex Award, given to books written for adults that have special appeal to young adults. "This is the true story of the healing power of music." "After reading this book, and understanding what it took for him to take his seat behind the drumkit again, I’d be a fan even if I’d never heard a song." "Evocative . . . Rufus's writing describes the medical rabbit hole we all dread falling into in a style so candid you can imagine yourself tumbling in along with him."